Looking after your residents comes with many challenges. How can you bridge the gap between cost-efficiency and care? The solution lies in your technology partner. It has been reported that the demand for care homes places will soar by more than 75% in less than 20 years. With this in mind many care homes are investing in technology to digitalise their processes to meet the demand of a growing customer-base. Moving operations from paper-based process to digital is a lot easier than you might think. Not only can technology streamline your operation, it’s extremely cost-effective, enabling you to save money and come in under budget. 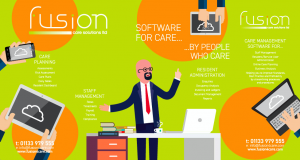 Care Management Software that will significantly streamline your administration processes, it’s also been proven to boost your compliance ratings with CQC. We’re moving to a world where we’re able to order and pay for taxis with the tap of an app, stream films to our televisions, our phones, and buy anything under the sun with one click. Isn’t it time to make better use of technology in the care industry? Couldn’t we combat the pressures of an ageing generation with all the benefits of technology and advancements? Isn’t that synergy? 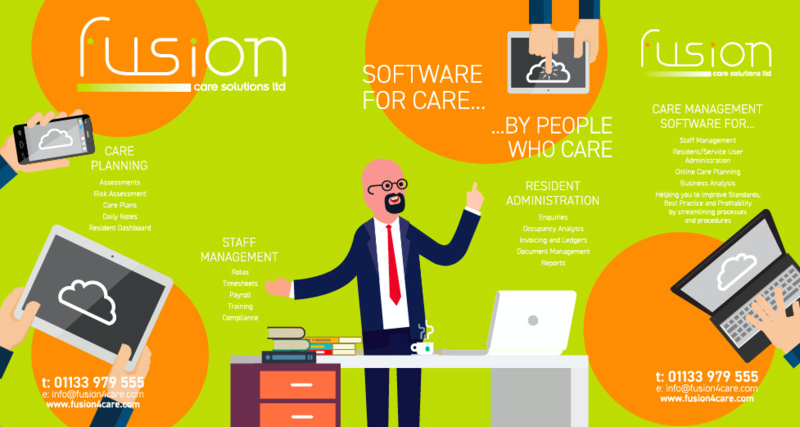 To find out more about how Fusion Care Solutions can help boost your communication, resident/relative satisfaction levels and enhance your compliance – simply fill in the short form, or email martin.jones@fusion4care.com and we’ll do the rest.